Developers have been using in-app purchases as a way of enabling free trials since at least Sept. 2016, according to MarsEdit creator Daniel Jalkut. The system is described as "bolted on," with a variety of practical issues, such as the fact that iPhone and iPad users may feel deceived. Trial-enabled apps are listed as "free," even though something like MarsEdit costs $49.95 to use in the long term. Apple's system also excludes apps from the Volume Purchase Program and Family Sharing, and prevents them from reaching the top of the "Paid" App Store charts. If they somehow rank high on "Free" charts, the deception problem rears its head. Jalkut also complains that transaction mechanics are foisted onto developers, including an unnecessarily complicated means of resetting trials whenever a new version is released. Shortly after WWDC started, Apple changed its guidelines to state that a trial via in-app purchase is allowed so long as it "clearly identify its duration, the content or services that will no longer be accessible when the trial ends, and any downstream charges the user would need to pay for full functionality." Trials were previously only permitted for subscription services, such as on-demand video. 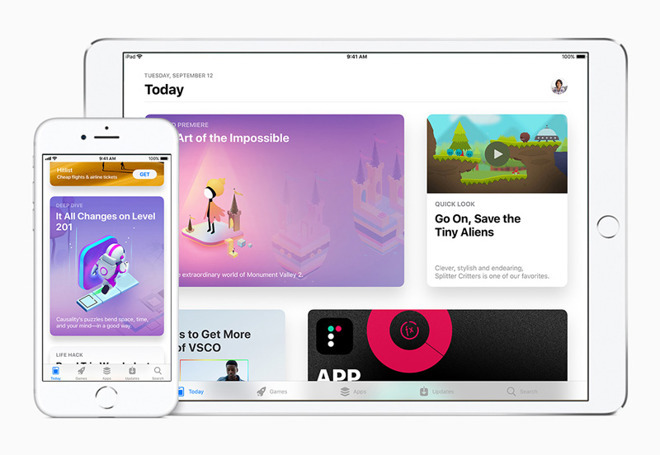 At the same time the company left another guideline intact, saying that "demos, betas, and trial versions of your app don't belong on the App Store," blocking the release of separate trial software. Jalkut's position was reinforced on Twitter, for instance by Tweetbot developer Paul Haddad. "I really don't care about free trials," he wrote on Wednesday. "Proper paid upgrades are far more important, I'd love to know why Apple refuses to implement them."